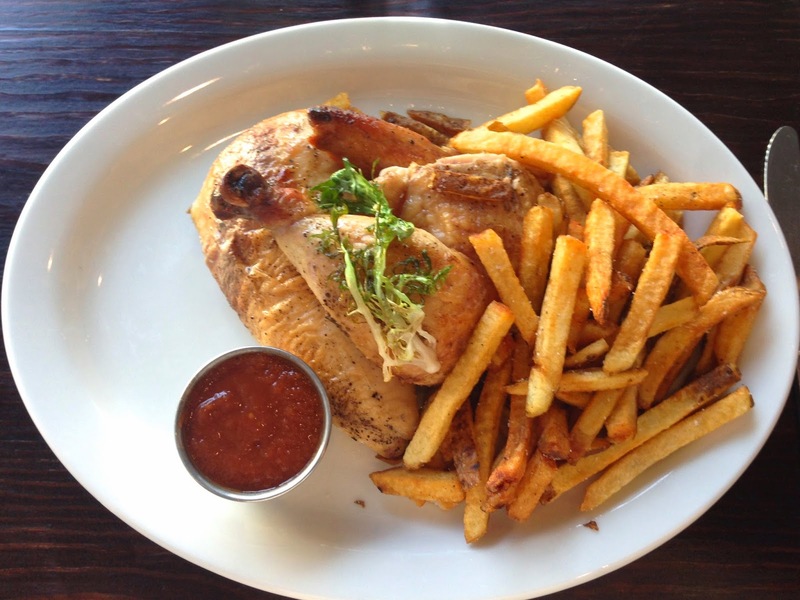 Austin is becoming the place for foodies. New restaurants and bars are popping up all over town and each one of them has a unique, cute vibe. Tanner and I have been on a mission to try one of these new places each month, which equaled the best decision ever...we haven’t had a bad experience yet. 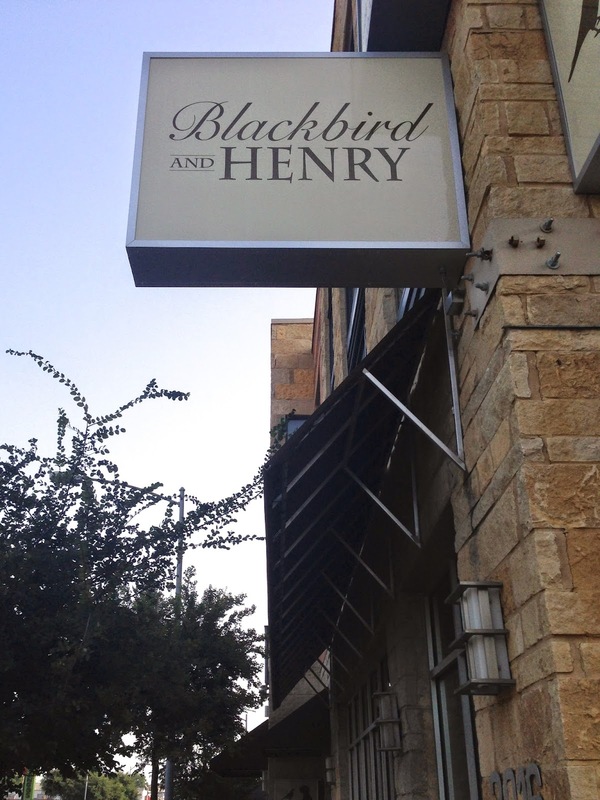 A few weeks ago we ventured down Guadalupe and tried Blackbird AND Henry. They took over the old Broken Yolk space but the inside has been completely redesigned. A modern and clean mix of metal, white subway tile, and soft wood made an inviting and interesting feel. The natural light is just amazing; everything seemed to glow in the afternoon sun. But the chalkboard pillar maybe my favorite part! 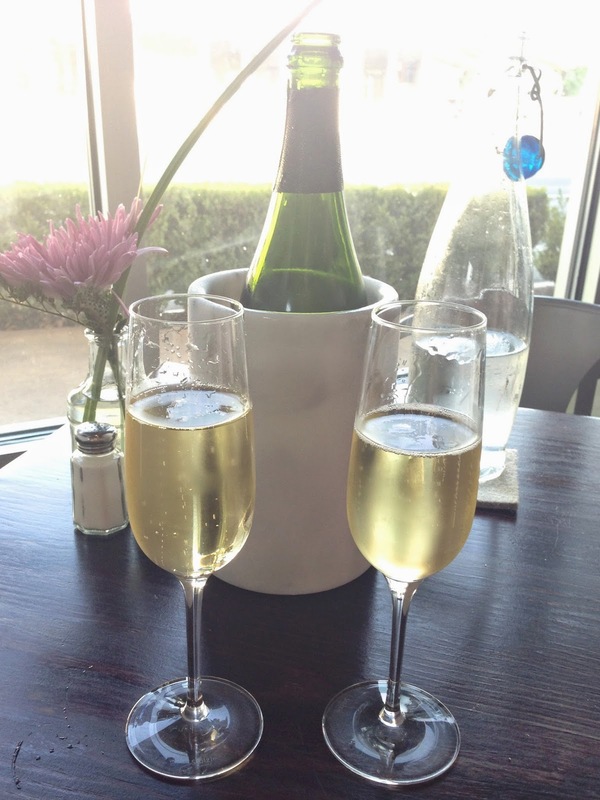 We made it for happy hour, which is very good, and since it was Friday we decided a bottle of bubbles was needed. We each ordered an entrée; Tanner the burger, and I the baked chicken. They were both VERY tasty, reasonably priced, and the portions were “left-over” size. After we heard they had my favorite dessert, Crème Brûlée, I made the executive decision to place our order and I was not disappointed. 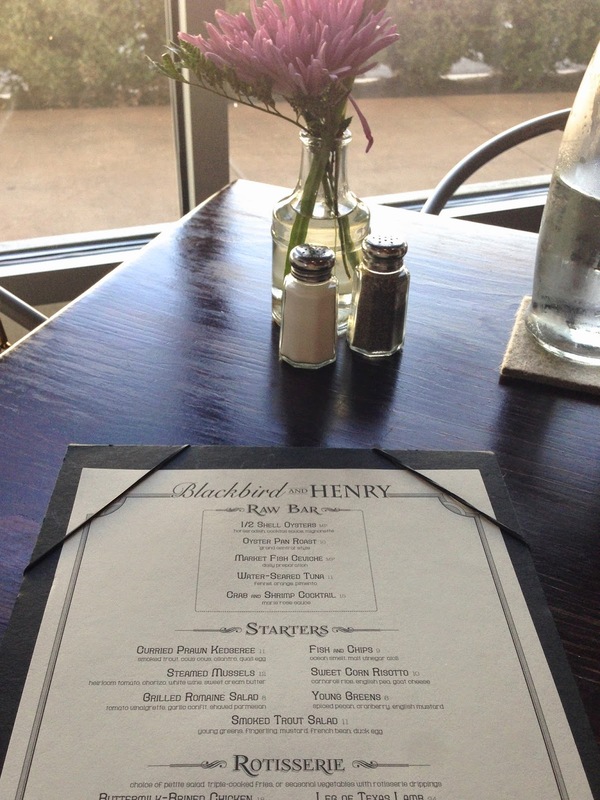 Our overall experience at Blackbird AND Henry was great. I loved the feel of the dining room and the food was excellent. 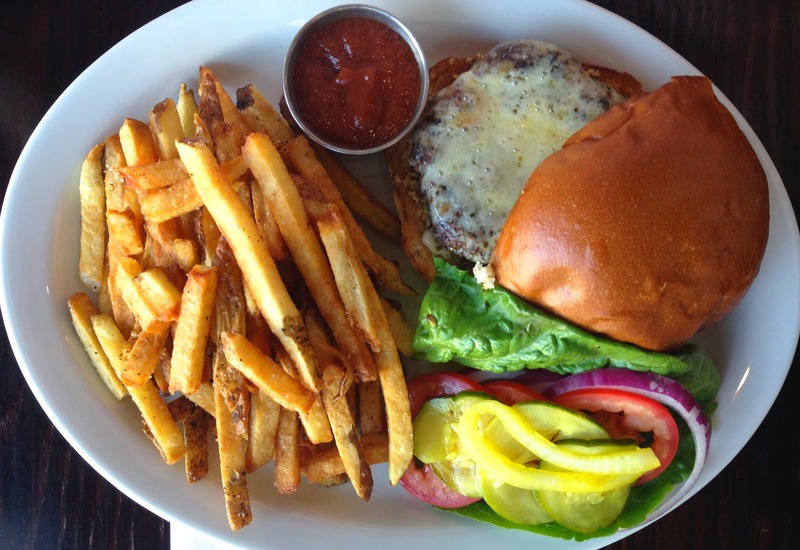 If you are in Austin and looking for a great happy hour or dinner spot, try them out! 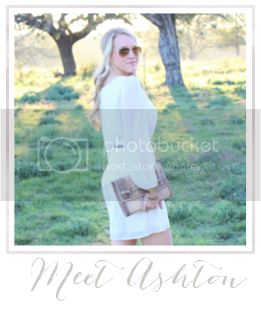 Have a great Thursday and thank you for stopping by! Ooo it looks so yummy! That's on my list of places to try! We splurged on Olive & June last Saturday. Super delish...One of the many benefits of living in Austin! Thank you so much for following along and sharing your thoughts! I read each one; they mean the world to me!